As General Director of both Sevmash and TsKB MT Rubin, Andrey Dyachkov’s a pretty significant individual when it comes to submarines. What follows are highlights from his RIA Novosti interview last Friday. Some blurbs have been published, but one frankly hasn’t had time to see if they captured the importance of what Dyachkov said. Hence this summary. It has less elegance (or perhaps fluff) than you may be accustomed to reading on these pages. Sevmash and the Defense Ministry signed a contract for the modernized Yasen, or Yasen-M this year. It will be five units; Severodvinsk plus five. Severodvinsk will be delivered next year; there were problems with some components obtained from suppliers and the Kalibr missile system needs to complete state testing. About six months are needed for all this. This year’s huge contract problems were a result of a changed Defense Ministry approach toward price formation Sevmash wasn’t ready for. But times have changed, and Sevmash recognizes money has to be used more effectively, and ways have to be found to cut production expenditures. Rubin has a contract to design the modernized proyekt 955, Borey, the Borey-A. The contract should be signed by early 2012. The lay-down of the first improved Borey will happen next year, and Saint Nikolay is still the working name for the first unit. No word from the Sevmash chief on the final number of boats until after the contract is signed. They’ve started laying down Saint Nikolay, but the official ceremony’s still to come. Seventy percent of sub costs are reportedly to pay suppliers. The main thing is getting them to reduce the cost of their products. The Defense Ministry might even consider foreign component suppliers for some SSBN components. Sevmash will take on construction of two diesel-electric proyekt 636 from Admiralty Wharves. This will lighten the workload of the latter, and use excess capacity at the former. Severnoye PKB has a contract to figure out how to modernize Kirov-class CGN Admiral Nakhimov (proyekt 1164, Orlan). First and foremost, it needs new missiles (Kalibr and Oniks) to replace its Granit. They are talking only about Nakhimov at this point. Sevmash won’t be repairing CV Admiral Kuznetsov in 2012. The shipyard is prepared to build a future carrier. Modified Typhoon-class SSBN Dmitriy Donskoy will be kept active at the White Sea Naval Base for sub-on-sub trials of new boats. Northern Fleet subs won’t be diverted for this task. KB Malakhit has developed repair and modernization plans for the Akula-class (Proyekt 971, Bars). Money’s been allocated and Zvezdochka will do the work. Russia may offer up the Amur-1650 diesel sub in next year’s Indian tender. It could have air-independent propulsion, but Russia doesn’t seem really high on the idea. They want to test Proyekt 677 Lada and its sonar in deeper waters next year. Perhaps the Borey and Yasen mods reflect the problems of restarting construction that had been dormant (or at least very slow) for a long time and of using newly-made components rather than older ones. On Tuesday, Vedomosti’s Aleksey Nikolskiy wrote about breakdowns in last year’s State Defense Order (GOZ). He notes that concern about failures started with Roskosmos, but it isn’t limited to that part of the defense sector. 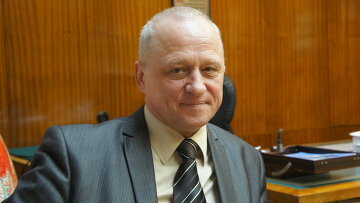 Nikolskiy recounts Deputy Prime Minister Sergey Ivanov’s session with the Roskosmos collegium. The space industry only produced five of 11 satellites specified in GOZ-2010, and 6 civilian launches were postponed. The three GLONASS satellites lost to a “childish mistake” [in filling the rocket’s tanks] cost 2.5 billion rubles. But we’ll return to Russia’s space woes another day. A Defense Ministry source tells Nikolskiy GOZ failures are constant. Bulava SLBM delays kept Yuriy Dolgorukiy from entering service [remember the new SSBN itself had to return to Sevmash for work while it awaits the next Bulava test]. Introduction of the new Severodvinsk SSN has been put off until much later because of construction defects. A United Shipbuilding Corporation (OSK) source tells Nikolskiy the Defense Ministry has stopped financing completion of a proyekt 677 diesel-electric sub, and work on two others laid down at Admiralty Wharves is in question. Nikolskiy says the Air Forces’ assimilation of Yak-130 trainers is delayed by last March’s crash. And there’s a serious delay in the testing of the Su-35 fighter, according to a Defense Ministry officer [Sukhoy was reportedly testing two Su-35s last August]. One enterprise manager claims reforms in the Defense Ministry purchasing system are holding back contracting for aircraft deliveries this year. CAST’s Konstantin Makiyenko says government and Defense Ministry criticism of industry for its GOZ failures could be followed by personnel changes. In Roskosmos’ case, the situation is almost “overripe.” But Makiyenko defends other Russian arms producers by noting that delivery delays are common even for U.S. and European manufacturers. On 17 August, Russian news agencies reported that Admiralty will build a proyekt 636 diesel-electric submarine for the Black Sea Fleet (BSF). The keel-laying was scheduled for 20 August. Navy CINC Admiral Vladimir Vysotskiy says, in all, three proyekt 636 submarines will be laid down for the BSF before year’s end. Krasnaya zvezda writes that, although Admiralty has produced export submarines since 1983, Novorossiysk will be its first proyekt 636 for the Russian Navy. Ocean TV reports Novorossiysk will be complete in 2013, and the other two in 2014. The Rubin Central Design Bureau of Naval Technology has made changes in the construction of systems and equipment of the proyekt 636 for its use in the Russian Navy. RIA Novosti said the new BSF submarines will be armed with the Klab-S antiship cruise missiles. The Navy Main Staff calls Novorossiysk the start of its long-term plan to restore the BSF’s combat readiness. The fleet is also slated to receive the Sevastopol, the third unit of new fourth generation proyekt 677 submarines. According to Krasnaya zvezda, the transfer of Baltic Fleet Neustrashimyy and Yaroslav Mudryy frigates to the BSF is still being worked, and could take place in the next year. A related aside . . . it’s been almost four months and there’s no mention of the BSF basing report that, on 1 May, President Medvedev ordered Defense Minister Serdyukov to present in a month. To counter recent predictions of the fleet’s demise, a BSF staff source today told RIA Novosti 3-4 frigates and a similar number of diesel-electric submarines would meet the fleet’s needs in the coming five years. He pointed to the Admiral Gorshkov class frigate at Northern Wharf and proyekt 677 submarine Sevastopol at Admiralty. He said new ships would also support the fleet’s full participation in exercises with NATO and Ukraine, and also exercises and long-distance cruises planned by the RF Navy’s command. He noted that the renewal of the BSF’s ships in no way would contradict the provisions of Russia’s basing agreement in Ukraine. He called Russia’s plans transparent and a subject for discussion in the sessions of the Russian-Ukrainian BSF sub-commission. These hopes are basically the same as those expressed back in February when another source said 2 frigates and 3 submarines. Other media today reported the possibility that Moscow could get a base agreement extension in return for higher rent payments or lower gas prices for Kyiv.